So you have a kombucha mother, but do you like cultured or fermented foods enough to travel cross-country in a bus spreading their gospel? 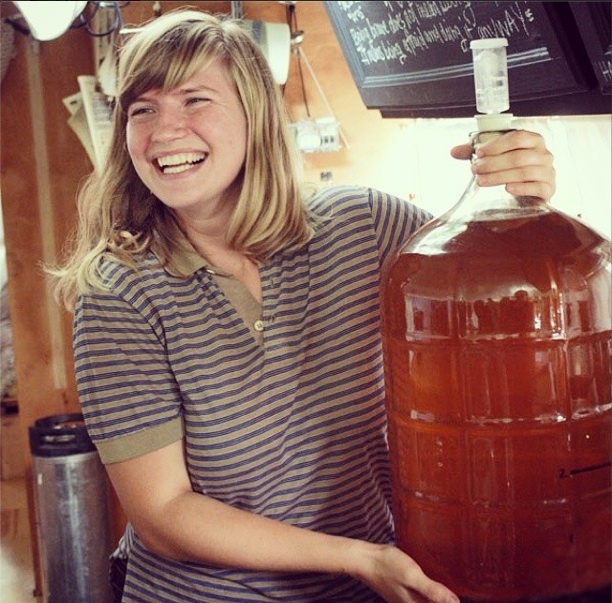 Tara Whitsitt, the founder of Fermentation on Wheels does, and since 2013 she’s driven throughout the lower 48 states while giving workshops on everything from kimchi-making to demystifying tempeh. I covered her project for Civil Eats almost exactly a year ago and a lot has happened since then. Earlier this month, Edible editor-at-large Rachel Wharton profiled Tara Whitsitt for the New York Times and just a week later Whitsitt hosted her largest workshop to date at Judson Memorial Church near Washington Square Park. The word is out and Fermentation on Wheels is meeting demand by parking in Brooklyn and hosting a handful of local events over the next few weeks (full schedule here). We’re especially glad that Whitsitt will be giving a workshop at the Just Food Conference on March 15, as well as a free demo as part of the upcoming annual “Ferment! 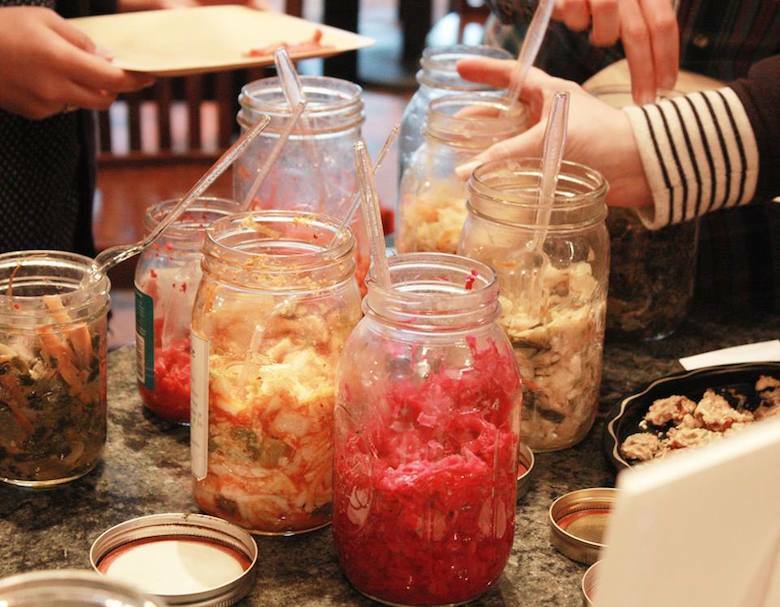 Ferment!” culture swap and learning day at the Brooklyn Free School on March 22. I attended her recent “Get Cultured” event this past weekend at Judson Memorial Church, which was basically an intro to all things fermented. This workshop covered the basic do’s and don’ts of four different starter cultures — kombucha, water kefir, milk kefir and sourdough. People generally forget that cultured foods are also living foods and as such are all a little bit different. “You can have three different kombucha cultures and each one had a unique taste and smell,” Whitsitt said. Rather than running through a Powerpoint presentation, Whitsitt illustrated how each one might look and smell with her own cultures that got passed around the room. One of her sourdough cultures was 90 years old and had been started by a pioneer woman in Alaska and passed down through generations. Another sourdough culture had traveled cross-country by train. If you like your food sour, tangy and a little bit funky, you should get on the fermentation train. Processed foods, for all their flavor magic, just can’t or don’t produce tastes like you find in a sourdough or kefir (not to mention the potential health benefits).